A tasty recipe from Cooking Light. The only modification I made to the recipe was the flour. 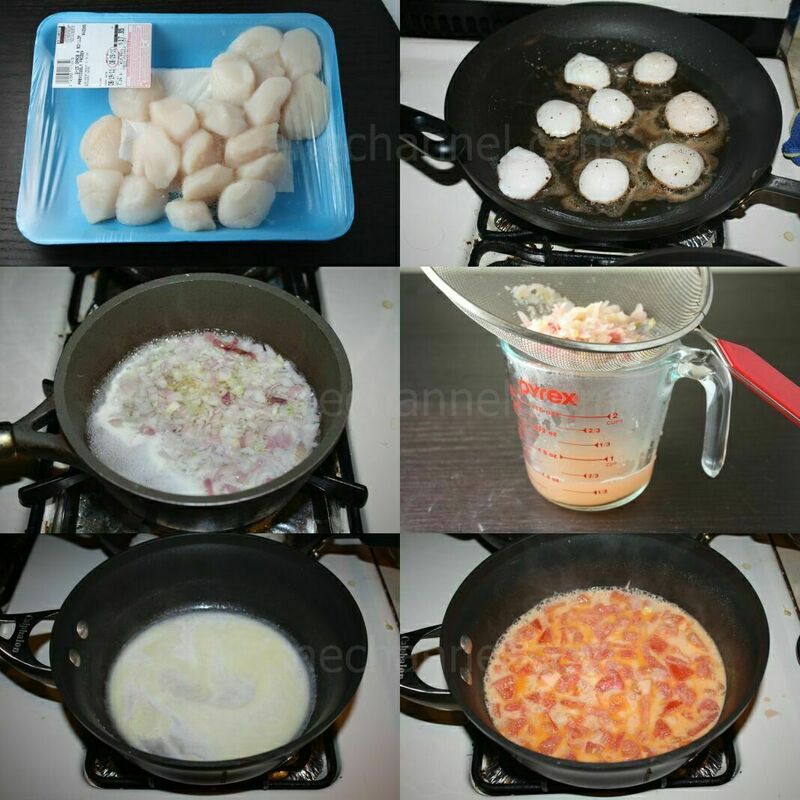 The sauce came out to be a little thin, so I added a tablespoon of flour which turned out to be just right. This is a light version of a creme sauce pasta with very little butter and creme, but it’s just enough to cling to the pasta. Return wine mixture to skillet. Add half and half; cook over medium heat 1 minute. Add butter, stirring until butter melts. Stir in tomato, 2 tablespoons cilantro, 1/4 teaspoon salt, flour, and pepper. Add pasta; toss well. Cover and keep warm. 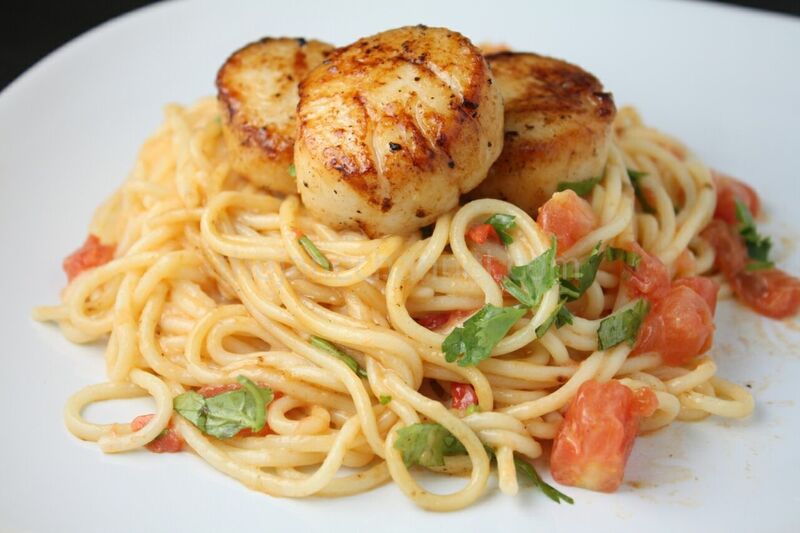 Mmm delicious pan-seared scallops with spaghetti. DROOLS.